The luxury coupe market hasn't always been Audi's bag. Most associate the German brand with solid, reliable sedans. 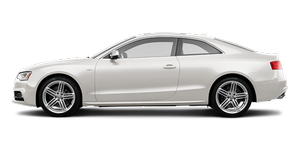 Yet as competitors expand their model lineups to fit what seems like every possible niche, Audi has increasingly started to keep pace by launching more two-door models -- not the least of which is the Audi S5.